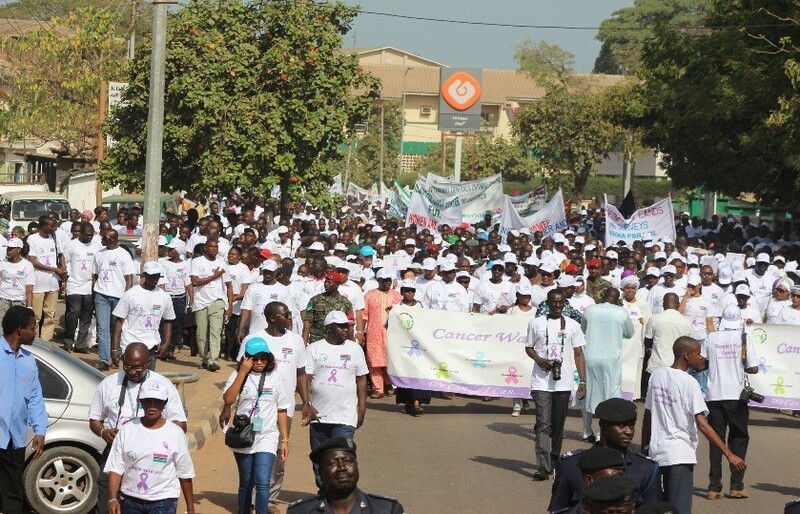 On the 4th of February 2016, Afrinity Production joins in celebrating World Cancer Day organized by The First Lady, Her Excellency Zainab Suma Jammeh. 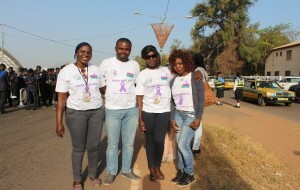 A walking congress hits the Streets of The Capital City of The Gambia, Banjul to support Cancer Survivors to fight against Cancer. “We Can, I Can, Gambia Can” being the logo of the day encourages Cancer survivors to Hope, Fight and Cure. Cancer also known as malignant tumor is a group of diseases involving abnormal cell growth with the potential to invade or spread to other oarts of the body. There are over 100 different known cancers that affect humans and in 2012 about 14.1 million new cases of cancer occurred globally which caused about 8.2 million deaths or 14.6% of all human. 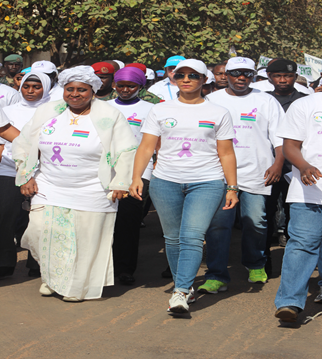 High dignitries in The Gambia including The Vice President Her Excellency Isatou Njie Saidy and Ministers together with The Gambia Army, Organizations, Companies, Schools, Foundations etc joins The First Lady for “Cancer walk 2016” in Banjul.